There’s no question that a good rimfire rifle is essential in basic hunting. Having a .22 rifle in your gun cabinet is perfect for anyone with a hunting license or a homey cabin in the northern woods. With ease of fire and very little kickback, a .22 can be perfect for the beginner. Nothing adds to the quality of a good rifle, though, like a good scope. A scope is going to improve accuracy and allow you to take more time and thought into your long range shots. It can also be the difference between a begrudging look of disappointment or a grin at making your first kill. When choosing a scope, you will have a number of options. Whether you want a holographic scope or a ranged scope is the biggest decision to make. The best scope for a .22, according to gun nuts everywhere, is the Leupold VX-2. While its predecessor is the best-selling rimfire scope, the Leupold VX-1, the makers kept that classic design and fine-tuned it to create the VX-2. The Leupold VX-2 is all-around classic, by looks alone. It would mount nicely on any rifle, from a vintage, wooden, wild-west piece to a modern matte black frame. The design is one of, if not the most, classic looking pieces you can find. 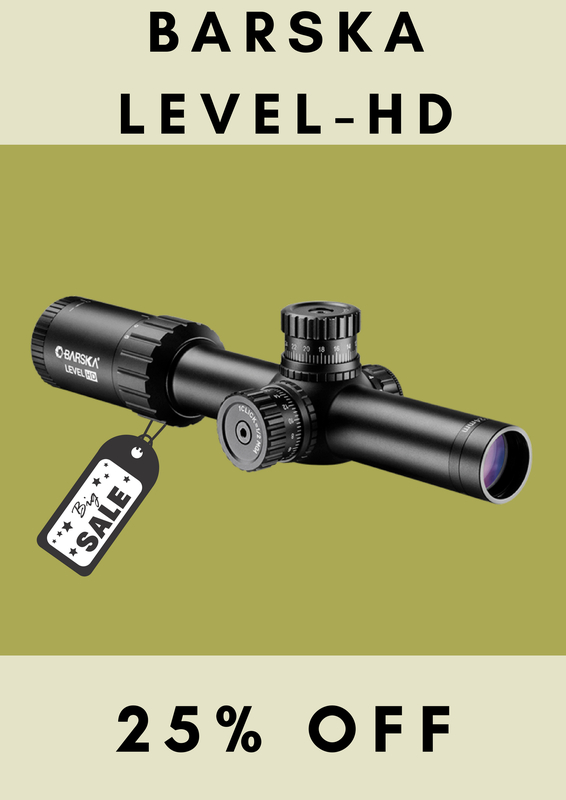 The Leupold VX-2 comes with a 3-9x magnification, perfect for short or long range targets. With a wide field of view and low-end focus, it provides for maximum comfort and clarity, compared to other scopes. The variable magnification can be easily tweaked using the controls mounted atop and on the side of the scope. Another great feature, especially for beginners, is the easy-to-use simple duplex reticle. The crosshairs are thick and bold, allowing for better sight of them during low-light situations. The classic design of the reticle itself, makes the scope even more classic in its use and functionality. The main thing Leupold is famous for in its previous models is the crystal clear, glare-free glass that is used. No exceptions were made here, either. The glass is flawless and darkened at the edges, providing for little to no diffusion. Both lenses on either side of the scope are also multi-coated, protecting them from nicks and scratches while you are traipsing through the woods. The main complaint you will find with this scope is also the main compliment: It’s basic. Some fancy gun enthusiast will want a scope with more bells and whistles. They want a scope that makes them feel like the Predator, but in reality, in most cases, that’s not what you need. True hunters know that skill is more important than features and a basic, but timed true and tested scope is exactly the right kind of accessory to improve your game and help you get your game.